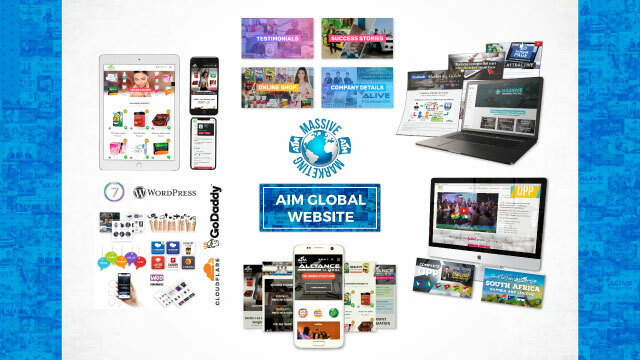 Grow your Network Local and all over the World with your AIM Global Online Marketing Website. Now is the time for your most awaited success! Upgrade your Online System to attract more prospects, increase engagements and maximize results! Note: You are still responsible for your Customer’s Payments and Product Delivery. 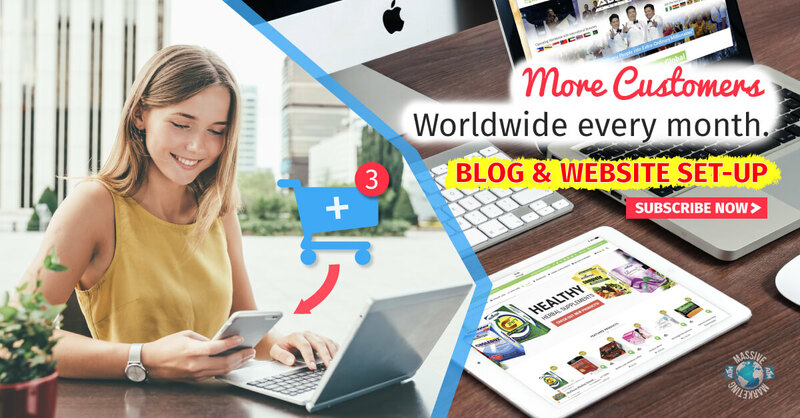 Massive Online Marketing features full E-commerce Set-up that will help you Accept Product Orders, Secure Payments and Calculate All Shipping Cost Worldwide. 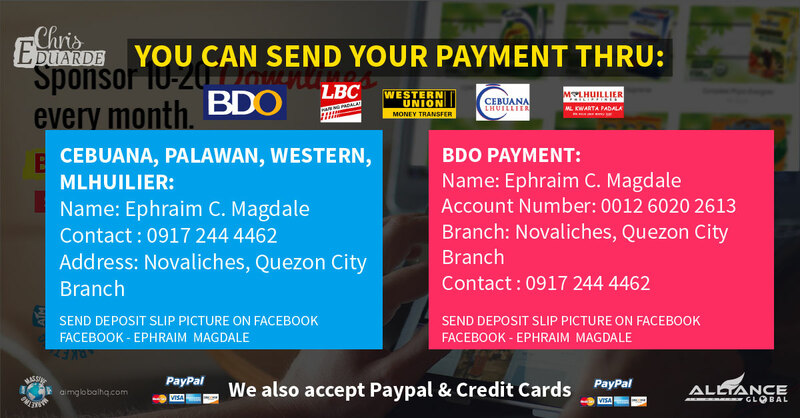 Accommodate Payments for Cash on Delivery (COD – Philippines Only), Local Money Transfer, Bank Transfer, Major Credit Cards and Paypal. LBC, Fed-Ex and PHLPost Delivery Prices are integrated automatically for computing customer’s order by product weight and location. 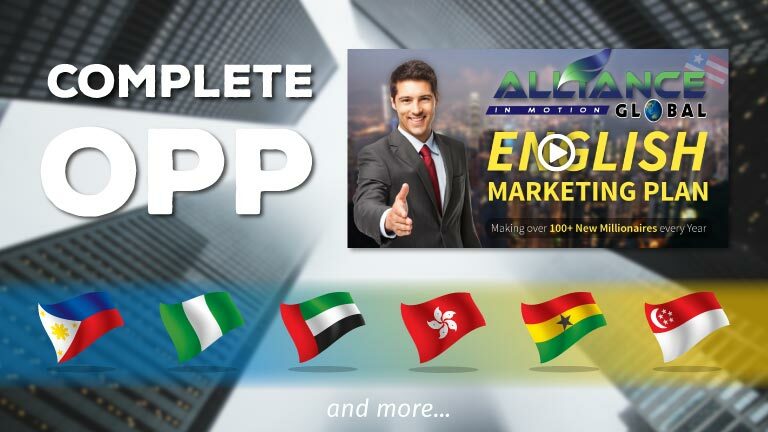 This E-commerce experience will make you International Market Ready as you grow your Network with AIM Global. Bakit ko ba kailangan ng sariling blog/website? Nagpopost at nagshashare ka naman pero wala pang nagkakainteres? Layunin ng blog/website ay makuha ang interest at tiwala ng mga viewers at mai-close sila para sa business natin. Dahil sa kumpletong impormasyon ng business sa blog/website mo, unti-unti ng naicoclose ng prospect mo ang sarili niya sa business mo ng halos wala ka ng ginawa. Karamihan na sa mga kakausapin mo ay sila na mismo ang lalapit sayo, (Positive at Interesado). Magkaroon ka lang ng tamang training upang masagot lahat ng kanilang katanungan ng tama at maii-sponsor mo na sila ng maayos sa ating negosyo. Then Congratulations! Isa ka ng Professional Networker. Click Register or Subscribe Button Above. Then Fill-up the Registration Form and you will be redirected to the Payment Page where you can know how to complete the payment process. Automatically you will also receive a confirmation message in your Email and Phone Number. Click the picture above to download the Money Transfer details. For Paypal, Credit Cards or Paymaya users, click the button below. Yes, Meron kaming set of Video Tutorials paano gamitin ang Blog/Website, Online Marketing, Theme Customization at paano mo gagawin ang mga trending Online Marketing Strategies. How to know when the Website is Ready? We’ll process it for 24-48 hrs after Account Verification. We will contact you for Contact Details, Profile Picture and Some Details. After that you will get an Email Confirmation about your New Website with your Account Details Created. 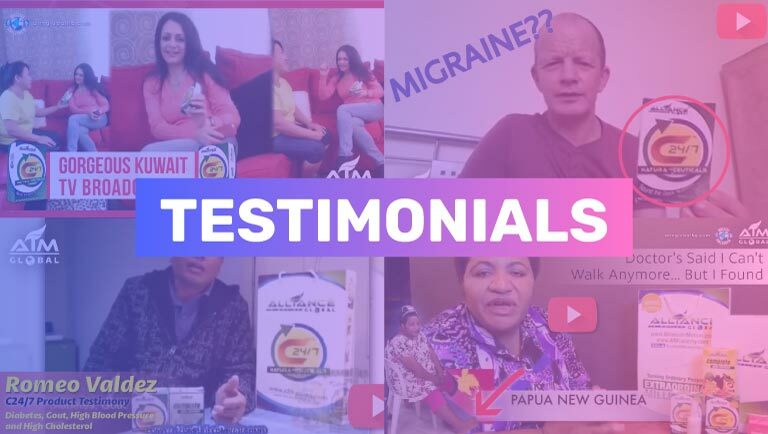 Available to ALL AIM Global Members anywhere in the World. 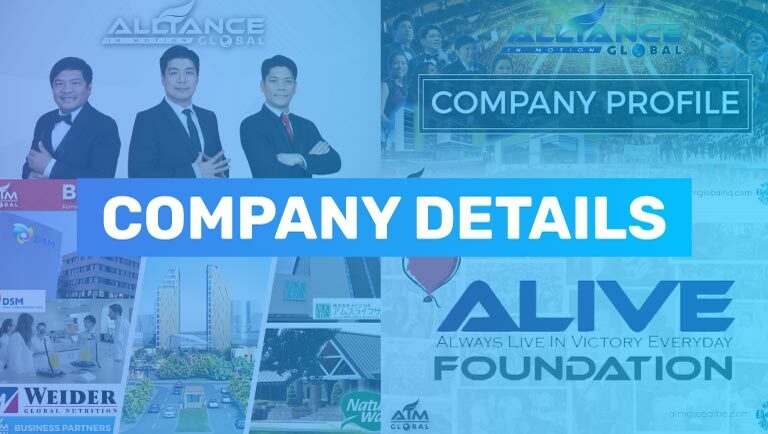 Copyright © 2019 | DISCLAIMER: This is not the official Website of Alliance In Motion Global.